delivers a mouth-watering pumpkin treat each time. 1. Coat a 4–quart oval slow cooker with nonstick cooking spray. Line the bottom and sides with parchment paper. 2. In a medium bowl, combine eggs, sugar, pumpkin, half-and-half and vegetable oil. 3. In a large bowl, stir together 2 cups of flour, baking soda, pumpkin pie spice and salt. 4. Add pumpkin mixture into flour mixture. Stir until combined. 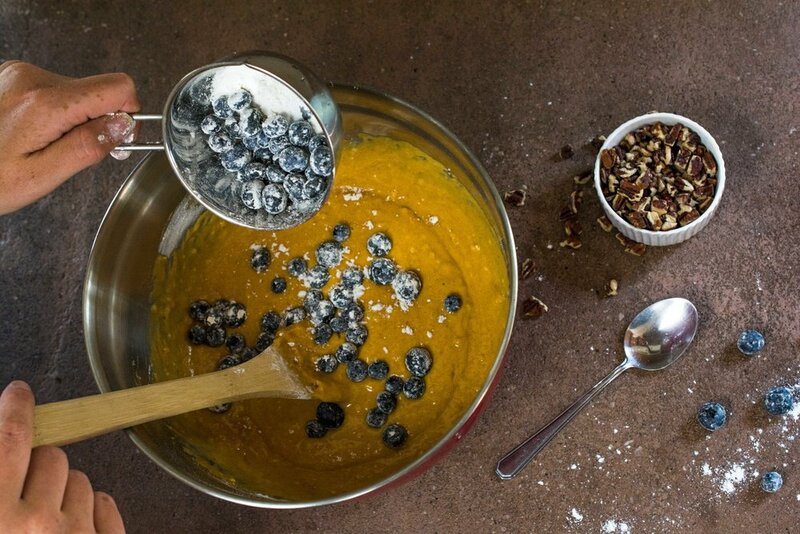 Toss in blueberries with 1 tablespoon flour; fold into batter. 5. Spoon into slow cooker and sprinkle with pecans. 6. Cover and cook on high setting for 2–2.5 hours. Turn off slow cooker and carefully remove the lid so the condensation from lid does not drip onto bread. Let cool (about 30 minutes), and enjoy!